A world away from the neon frenzy of Tokyo or the ancient temples of Kyoto, Okinawa is a subtropical smattering of jaw droppingly gorgeous islands situated far south of Kyushu. Okinawa is known for its easy living and healthy lifestyle, resulting in some of the longest living folk on the planet. Join Japan Centre, as we take a look at the history, the culture and the food of Japan’s holiday haven. Okinawa Prefecture is made up of hundreds of islands that pepper the seas between Kyushu and Taiwan. 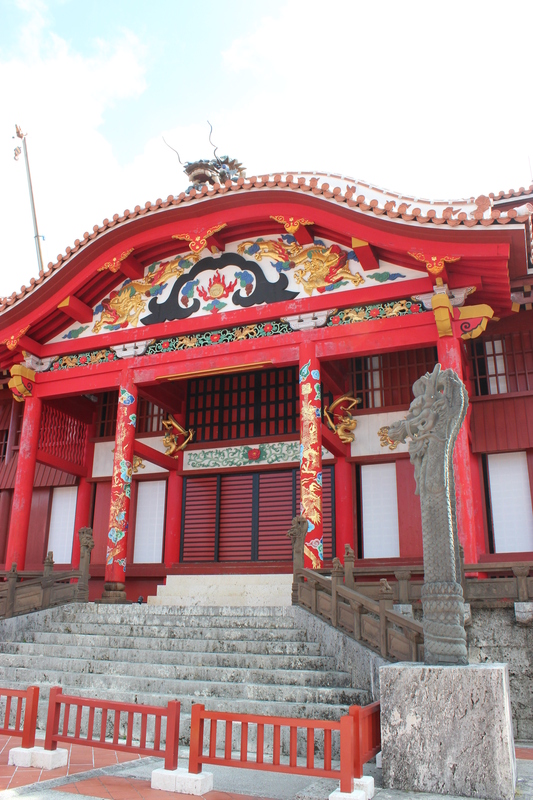 Okinawa Island is the largest of these and is the main entry point to the Prefecture. What is Okinawa known for? Apart from azure seas, pearl white beaches and a rich and distinct history from Japan’s four ‘main’ islands, Okinawa is notable for the endurance of its residents. This chain of islands has more centenarians (people who crack on with life beyond 100) than anywhere else on earth. But it’s not just the sheer amount of these golden oldies that surprises; it’s their sheer tenacity and liveliness. Elderly folk here can be seen galavanting about on bicycles and motorbikes, practicing karate, gardening and walking for miles at a time. Some have even been spotted break-dancing! The key to this zest for life is said to be the active lifestyle, diet rich in soy and seaweed, hearty amounts of sunshine and penchant for gardening. The main island of Okinawa has some great sightseeing opportunities. 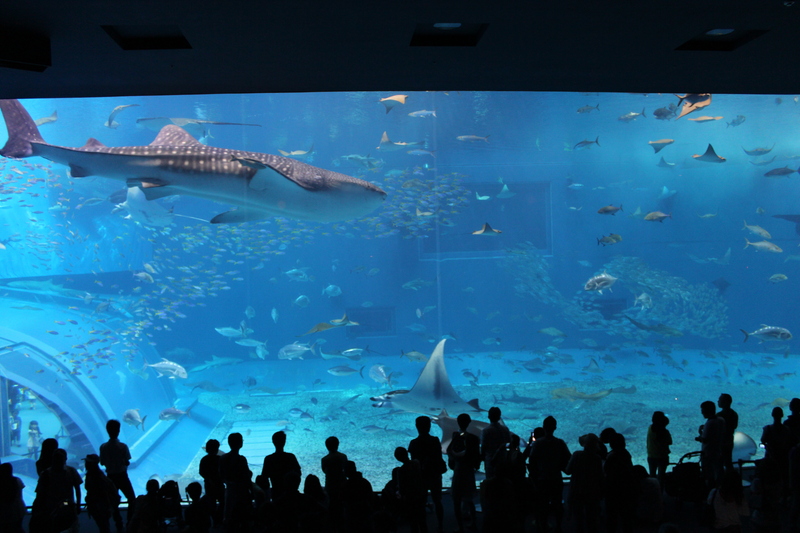 A trip to the Okinawa Churaumi Aquarium is a must, offering visitors the chance to gawp at gargantuan whale sharks and manta rays. Note that bus travel on the main island is very limited, so hiring a car or a scooter is the way to go. Okinawa Prefecture is a titillating land of excitement for outdoor enthusiasts. The main island island offers some great opportunities for exploration, particularly in the south. But if you are willing to travel beyond Okinawa Island to one of the smaller islands a ferry ride away, you will be rewarded, not just with “off the beaten track” points (which we all know are invaluable), but with unforgettable experiences. 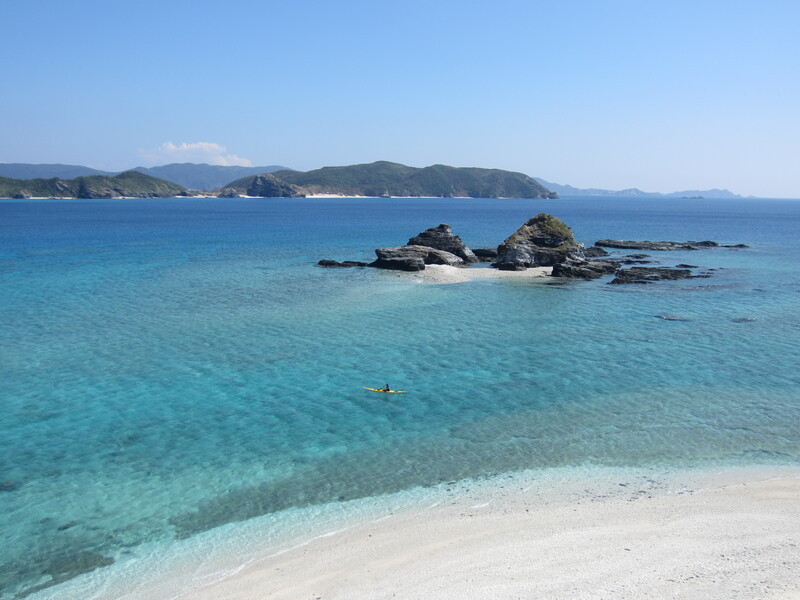 The nearby island of Zamami can be reached by ferry and offers world class diving and the chance to kayak on crystal waters. Beyond this, travellers can enjoy fishing, snorkelling, visiting festivals, partying in Naha or just flopping down on the beach. Okinawa’s laid back charm is woven into the fabric of life here, and we encourage you to go with the flow. For the intrepid traveller, we recommend perusing the multiple islands that make up Okinawa Prefecture, pick one at random, hop on a ferry and see where you end up. Will it be little Kuro, known locally for cows outnumbering humans? 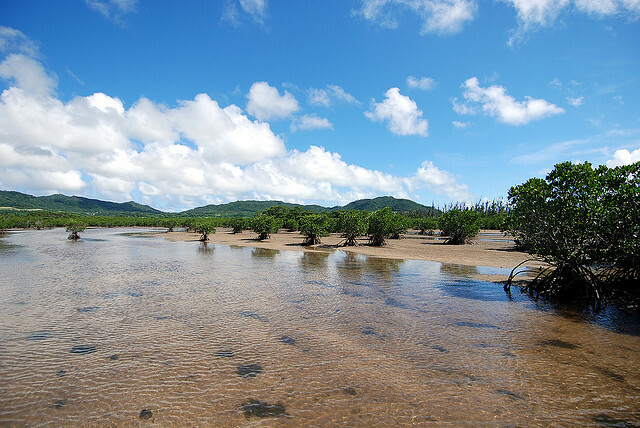 Or perhaps Iriomote, covered in tropical rainforest and mangroves? For much of its past, Okinawa and the islands now encompassed in ‘Okinawa Prefecture’ did not belong to Japan. The region now called Okinawa was known as the ‘Ryukyu Kingdom’. It enjoyed a great age of trade in the 1500s with its neighbours due to its privileged position between China, Japan and Taiwan. 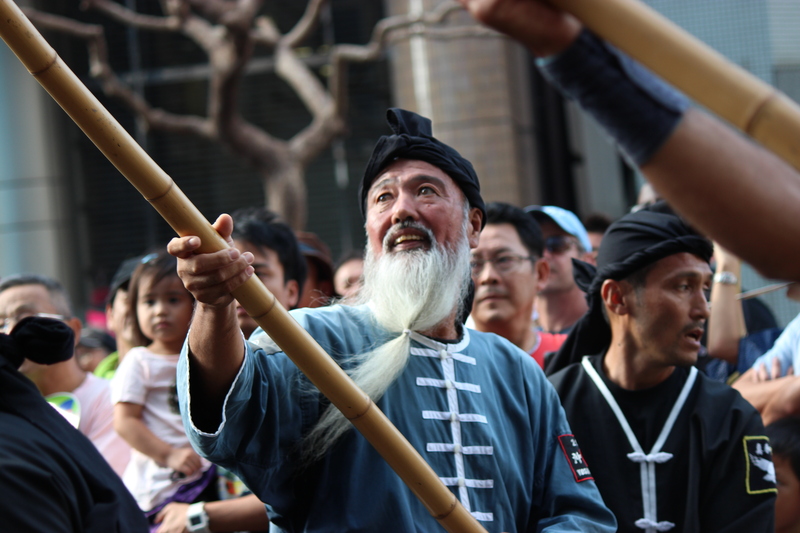 Citizens of the Ryukyu Kingdom had a rich and distinct culture and even their own language. They also developed the world’s most famous martial art – karate. In the 1600s invaders came from Satsuma – modern day Kagoshima – and from then on the fate of the Ryukyu’s was closely tied to that of the Japanese mainland. 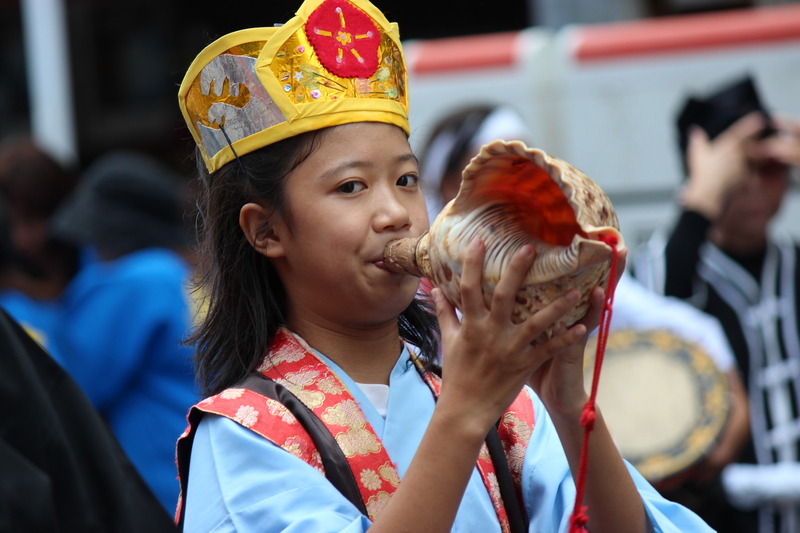 The following period fostered the development of the unique culture we find in Okinawa today – Japanese influenced but far from being completely Japanese. There are many theories as to why Okinawan’s live so long, longer even than their neighbours on the Japanese mainland, but they all mention the Okinawan diet. Okinawan’s love to chow down on plants, including ‘goya’, a kind of bitter melon that crops up in many traditional dishes of the islands. They’re also keen on tofu, pulses and seaweed, particularly konbu, which is a known health food that forms the basis for some wonderfully healthy dishes packed with nutrients. The sweet potato played a key role in forming the Okinawan diet and for many years it was the preferred staple food over rice. Here at Japan Centre, we love the regional variation of cuisine throughout Japan, and Okinawan is up there with the best of them. 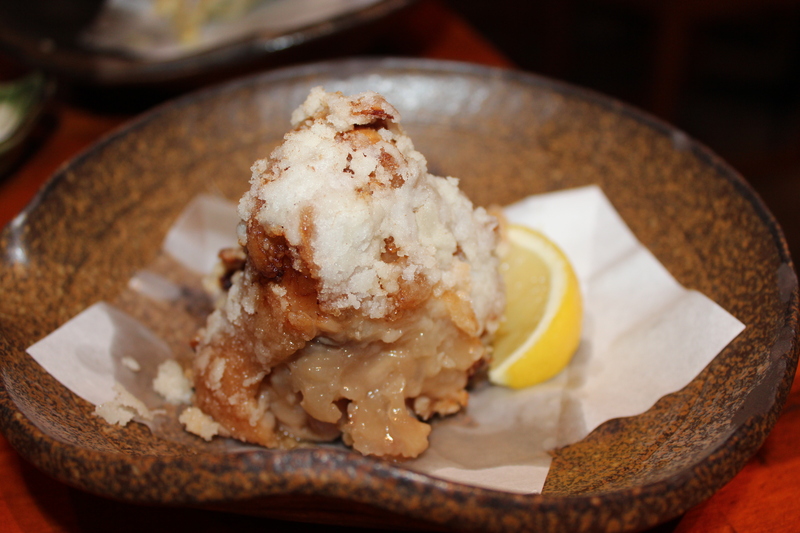 Here are some Okinawan classics, some of which we have devised our own recipe for. 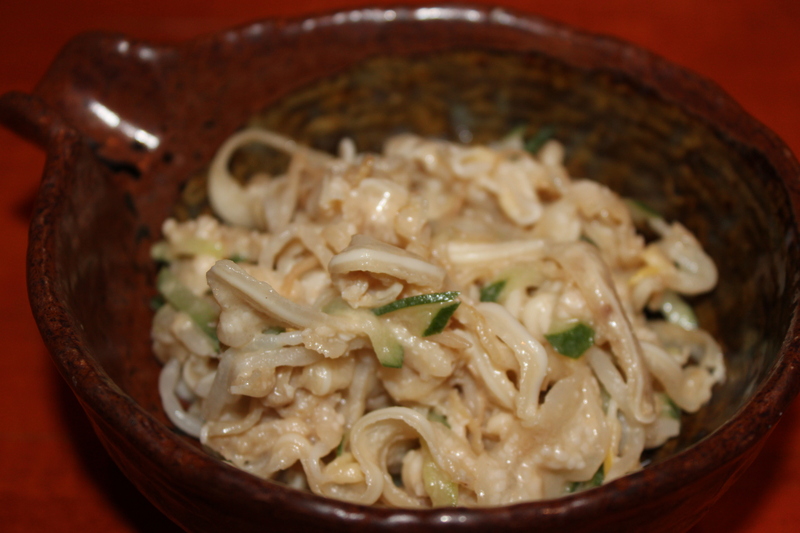 Not for the faint hearted – shredded pigs ear. Fancy a trotter? Okinawan’s love to chomp on pigs foot. Bursting with health! Okinawan seaweed salad, check out our recipe. Since WWII, Okinawa has had a hefty populations of Americans on its main island. This has resulted in some fantastic fusion food, most famous of which is taco rice. Click to check out our mouthwatering recipe. It’s not just savoury dishes on Okinawa. The Ryukyu islands cultivate a quality sugarcane, giving rise to some tasty sweet morsels like these Sata Andagi Okinawan Doughnuts. Click for recipe. Okinawa Prefecture represents a scintillating array of opportunities for the traveler. There’s a rich culture that encompasses that of the Japanese mainland yet remains unique, subtropical weather (just look for the typhoons! ), mindblowing natural wonders, famously friendly locals and terrific food. No wonder they stick around so long to enjoy it all! Book a trip to Okinawa and who knows, you may end up staying in paradise for centuries to come. 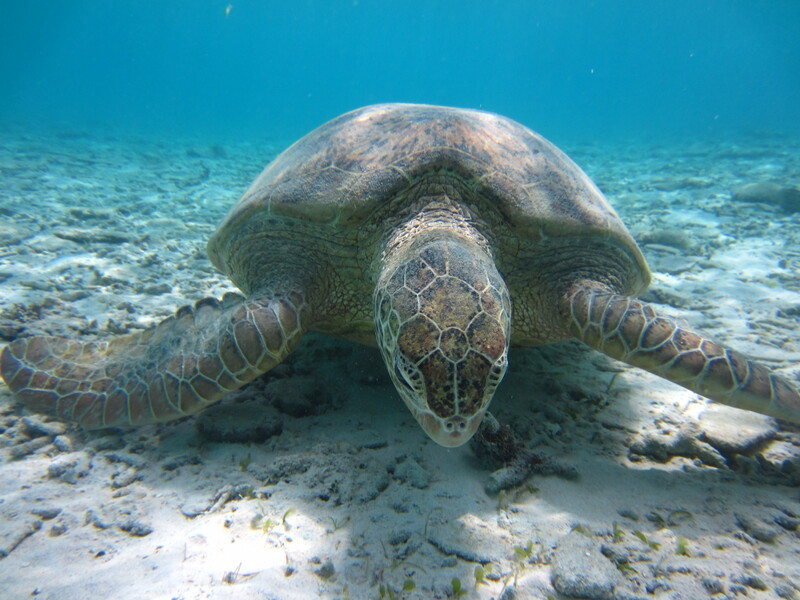 Thanks to Audrey Ackasu for providing these lovely images from her trip to Okinawa. Audrey lived in and taught in Japan for four years and now writes for Rocket News, one of our favourite sites for hilarious news stories coming out of Japan and Asia. You can check out her page here. Credit to earthtraveller at flickr for the mangrove image. 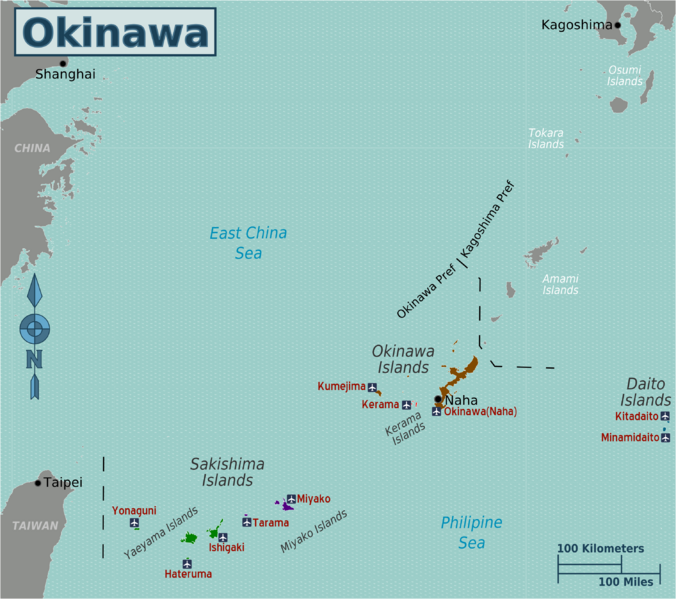 Credit to Wikitravel for the map of Okinawa Prefecture. Posted in Travel and tagged explore Japan, japan, Okinawa, Okinawan food, Seaweed salad, Taco Rice, Travel. Bookmark the permalink. I love Okinawa! I’ve been there several times and I especially love the smaller islands. Next Day Delivery – Now Available!